The outgoing Monkey will likely experience difficulty in the Year of the Water Snake. Snake years put a tremendous emphasis on secrecy, but it's hard for this gregarious sign to keep its mouth shut. Unless you practice the fine art of discretion, you will get in hot water for engaging in gossip or mockery. Even a lighthearted joke could be taken the wrong way during a deceptive Snake year. Curious to see how your specific Chinese sign will fare this year? Try an Essential Chinese Astrology Profile to find out! Water years involve lots of work for Monkeys, so you'll probably be very busy throughout 2013. It will be up to you to organize projects, gather materials and supervise workers. Although it may feel as though nobody appreciates your intelligence and inventiveness, nothing could be further from the truth. People keep their feelings under wraps during Snake years. If the Monkey stays focused on its work this year, significant rewards will arrive in 2014. That seems a long way away, but patience is a virtue during the Year of the Water Snake. Stress could be a problem for the Monkey this year. You are always looking for answers, and become anxious when they aren't readily available. The sooner you learn to act on faith, the faster your headaches and stomach pains can disappear. Practicing relaxation techniques like guided imagery and controlled breathing can help, too. During the Year of the Water Snake, the Monkey's greatest challenge will be keeping its motives hidden. If you manage to bite your tongue and play your cards close to your chest, significant growth and development occur. Single Monkeys won't lack for admirers in 2013. 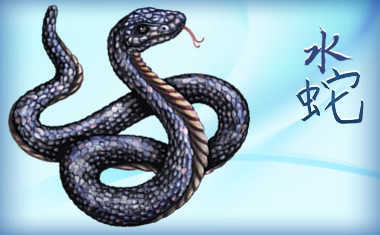 Snake years emphasize intelligence and charm, which your sign has in spades. It will be hard for you to settle down, because you're having so much fun dating a variety of people. That's fine. The Year of the Water Snake is sultry, sensual and seductive. It's a great time to sow wild oats, especially for the mischievous Monkey. Boredom will not be a problem for you single Monkeys. Monkeys in committed relationships will decide to either permanently break up or make up in this Snake year. The Year of the Water Snake has a transformative effect on the Monkey's love life. If you have been putting up with a lot of nonsense from your partner, that trend will end. An ultimatum will be issued, and the troublemaker will either reform or get kicked to the curb. Either way, you will emerge a far happier, healthier creature. 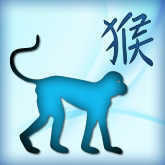 Professional help should be available to the Monkey in the Year of the Water Snake, which emphasizes communication. If the arrogant Monkey is able to release its pride, economic opportunities will abound. A talented colleague might teach you valuable skills and as result, you can become a hot commodity on the job market and attract lucrative opportunities from a variety of industries. At times, work will be frustrating because of unforeseen delays. People who are supposed to deliver information, materials, and financial resources will drag their feet. Workers rarely move quickly during a languorous Snake year. It would be wise for the Monkey to occupy its time with other activities while they wait. Craft projects like woodwork, jewelry making, and sewing can be sold for a handsome profit, adding to your income. Snake years are versatile times, allowing you to develop new moneymaking opportunities. Don't forget to see what the year ahead holds for your sign with an Essential Chinese Astrology Profile! Chinese vs. Western Astrology: What Are the Differences?